Q. I am looking for effective cruelty-free products for mild rosacea. I have Celtic skin that has been prone to flushing, blushing and broken veins since my teens. I have combination skin but no spots. I used a mainstream brand that worked but they sell in China, which makes me uncomfortable because of the animal testing. I do hope you can help. A. Yours is one of many questions we get from sufferers of rosacea, a skin disease that causes redness and swelling on the face. It may begin as a tendency to flush or blush easily and progress to persistent redness in the centre of the face that gradually spreads over the cheeks, forehead and even the eyes. If the disease progresses (which it doesn't sound as if it has in your case), small dilated blood vessels called telangiectasia and tiny pimples appear on the reddened area but – unlike acne – there are no blackheads or whiteheads. The red areas can be painful or itchy, and sometimes feel as if the red area is burning, which can be particularly painful over the nose. 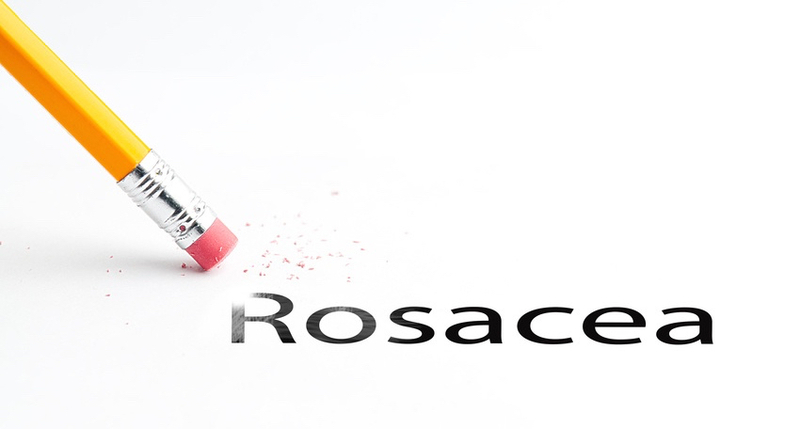 We have written lots about rosacea – just use the 'search' button on our website for previous columns, and also look at our book The Ultimate Natural Beauty Bible (Kyle Cathie/£19.99 hardback) for an extensive feature on natural ways of treating this distressing condition. Although not all-natural, Kalme products include many carefully selected botanical ingredients. The range offers a Cream Cleanser/£14.95 for 150 ml, Day Defence Cream SPF30/£19.95 for 50 ml, Night Repair Cream, £19.95 for 50 ml, and Kalme Undercoat/£9.95 for 75 ml, a de-sensitising and moisturising base cream that they recommend allowing to absorb thoroughly before applying a skin cream. It is vital to protect rosacea-prone skin against the sun and, while the SPF30 in the Kalme Day Defence Cream is a good starting point, you need to top up every two hours when you are out and about. Consultant dermatologist Dr. Nick Lowe recommends bareMinerals SPF30 Natural Sunscreen powder, which comes in a brush dispenser, with three shades Light, Medium and Tan/£25. It’s ‘a perfectly portable face powder, lightly mattifying without a trace of cakeyness’, according to Red magazine Beauty Director Sophie Forte. Finally you may like to try Clear Skin Complex by Viridian Nutrition/£22.05 for 60 capsules (two a day), which has been formulated to help treat inflammatory skin conditions including rosacea.